Presidents Daniel Burley Woolfall, Rodolphe Seeldrayers and Arthur Drewry died during their term in office. Daniel Burley Woolfall was the second president of FIFA. Rodolphe William Seeldrayers was a Belgian football administrator who was the fourth President of FIFA, serving from 1954 to 1955. He was actively involved in the official associations of Belgium sports. Arthur Drewry, was an English football administrator who served as the fifth president of FIFA, the world governing body of association football, from 1955 to 1961. Drewry had held several football administration posts in his native England, serving as chairman of The Football Association and president of The Football League. Giovanni Vincenzo "Gianni" Infantino is a Swiss–Italian football administrator and the current president of FIFA. He was elected President of FIFA during the 2016 FIFA Extraordinary Congress on 26 February 2016. The 2016 FIFA Extraordinary Congress was held at the Hallenstadion in Zürich, Switzerland, on 26 February 2016. This special session of the FIFA Congress, called as a result of the 2015 FIFA corruption case, included the passage of a major statutory reforms proposal as well as the election of Gianni Infantino to replace Sepp Blatter as the President of FIFA. 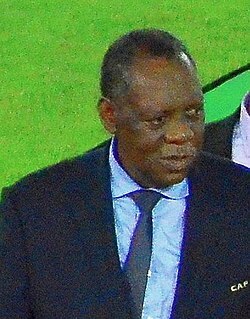 Issa Hayatou is a Cameroonian former athlete and sports executive. He served as the acting FIFA president until 26 February 2016 as the previous president, Sepp Blatter, was banned from all football-related activities in 2015 as a part of the FIFA corruption investigation of 2015. He was the president of the Confederation of African Football (CAF) between 1988 and 2017. In 2002, he ran for president of FIFA but was defeated by Blatter. He is also a member of the International Olympic Committee (IOC). Joseph "Sepp" Blatter is a Swiss football administrator who was the eighth President of the FIFA from 1998 to 2015. He is currently serving a six-year ban from participating in FIFA activities. Jean-Marie Faustin Godefroid "João" de Havelange was a Brazilian lawyer, businessman, athlete and centenarian who served as the seventh President of FIFA from 1974 to 1998. His tenure as President is the second longest in FIFA's history, behind only that of Jules Rimet. He received the title of Honorary President when leaving office, but resigned in April 2013. He succeeded Stanley Rous and was succeeded by Sepp Blatter. João Havelange served as a member of the International Olympic Committee (IOC) from 1963 to 2011. He was the longest-serving active member upon his resignation. In July 2012 a Swiss prosecutor's report revealed that, during his tenure on FIFA's Executive Committee, he and his son-in-law Ricardo Teixeira took more than $41 million in bribes in connection with the award of World Cup marketing rights. Prince Ali bin Hussein is the third son of King Hussein of Jordan, and the second child of the king by his third wife, Queen Alia. He is also the half brother of King Abdullah II. He is a member of the Hashemite family, which has ruled Jordan since 1921 and claims to be descended from the Islamic prophet Muhammad. FIFA is the international governing body of association football, futsal and beach soccer. It is one of the world's oldest and largest NGOs, being founded on 21 May 1904. It has since expanded to include 209 member associations. Mohamed bin Hammam is a Qatari who was a football administrator and president of the Asian Football Confederation from 1 August 2002 to 14 June 2011, and a member of FIFA's 24-man executive committee from 1996 to 2011 for more than 15 years. On 23 July 2011, Bin Hammam was banned for life from all FIFA and football related activities by an action of the FIFA Ethics Committee. 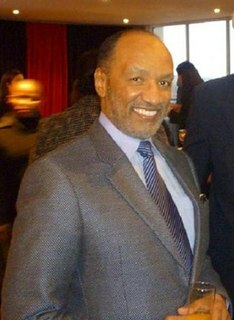 Bin Hammam challenged this sanction in the Court of Arbitration for Sport and the ban was subsequently annulled on 19 July 2012 due to lack of sufficient evidence. However, just 5 months later in December 2012, FIFA handed bin Hammam a second life ban from football after "conflicts of interest" were identified in his role as president of the AFC. Andrew Jennings is a British investigative reporter. He is best known for his work investigating and writing about corruption in the IOC and FIFA. The 2022 FIFA World Cup is scheduled to be the 22nd edition of the FIFA World Cup, the quadrennial international men's football championship contested by the national teams of the member associations of FIFA. It is scheduled to take place in Qatar in 2022. This will be the first World Cup ever to be held in the Arab world and the first in a Muslim-majority country. This will be the first World Cup held entirely in geographical Asia since the 2002 tournament in South Korea and Japan. In addition the tournament will be the last to involve 32 teams, with an increase to 48 teams scheduled for the 2026 tournament. However, FIFA President Gianni Infantino indicated that this change may come earlier for the 2022 World Cup. The reigning World Cup champions are France. The FIFA Puskás Award[ˈpuʃkaːʃ] is an award established on 20 October 2009 by the Fédération Internationale de Football Association (FIFA), at the behest of then-president Sepp Blatter, in order to award the player, male or female, judged to have scored the most aesthetically significant, or "most beautiful", goal of the calendar year. Jérôme Valcke is a French football administrator, best known as the former Secretary General of FIFA. He was fired on 13 January 2016 as a result of allegations arising from the ongoing 2015 FIFA corruption case. "FIFA's Dirty Secrets" is an episode of the BBC documentary series Panorama which was broadcast on 29 November 2010. 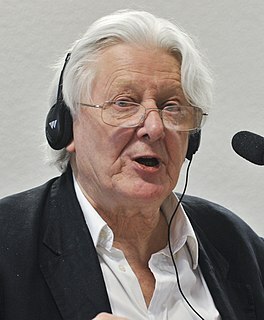 The half-hour programme saw investigative journalist Andrew Jennings look into allegations of corruption with FIFA, the world's governing body of association football. Within the programme, he alleged that three members of FIFA's executive committee had been given bribes by International Sports and Leisure, a marketing partner of FIFA. The three men – Nicolas Leoz, Issa Hayatou, and Ricardo Teixeira – were reportedly involved with a sports marketing firm responsible for broadcasting rights and took money from them. Jennings further alleged that a fourth current official has been involved in ticket touting. Both of these matters had not been properly investigated by Sepp Blatter, the President of FIFA. It also made a series of claims about the bidding process for hosting the FIFA World Cup. The FIFA Congress is the supreme legislative body of the International Federation of Association Football, commonly known by the acronym FIFA. 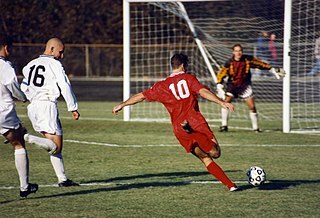 FIFA is the international governing body of association football, futsal and beach soccer. The congress may be ordinary or extraordinary. In 2015, U.S. federal prosecutors disclosed cases of corruption by officials and associates connected with the Fédération Internationale de Football Association (FIFA), the governing body of association football, futsal and beach soccer. The 51st FIFA Congress was held between 6 and 8 June 1998, at the Equinox congress hall in Paris, France, just before the start of the 1998 FIFA World Cup. It was the last biannual meeting of the international governing body of association football FIFA, since 1998 the congress has been held on an annual basis. The congress saw the election of Joseph "Sepp" Blatter as the 8th President of FIFA who succeeded João Havelange. Havelange had held the presidency since 1974. The 53rd FIFA Congress was held in May 2002 in Seoul, South Korea before the 2002 FIFA World Cup. It was the annual meeting of the international governing body of association football FIFA. The congress saw the re-election of Joseph "Sepp" Blatter as the President of FIFA. ↑ "The eight Presidents" (PDF). FIFA.com. Fédération Internationale de Football Association . Retrieved 20 December 2016. ↑ "Gianni Infantino elected FIFA President". FIFA.com (Press release). Fédération Internationale de Football Association. February 26, 2016. Retrieved June 27, 2018. ↑ Baxter, Kevin (February 26, 2016). "Gianni Infantino is elected FIFA president". The Los Angeles Times . Retrieved February 26, 2016. ↑ "Issa Hayatou takes temporary charge of Fifa". BBC Sport. 8 October 2015. Retrieved 8 October 2015. 1 2 "Sepp Blatter: End of era for Fifa boss". BBC. December 21, 2015. Retrieved June 27, 2018. ↑ "Sepp Blatter & Michel Platini lose Fifa appeals but bans reduced". BBC Sport. Retrieved 24 February 2016. ↑ "Acting FIFA President Issa Hayatou". FIFA.com. Fédération Internationale de Football Association. December 21, 2015. Retrieved December 22, 2015. On 8 October 2015, given the decision of the Adjudicatory Chamber of the Independent Ethics Committee to provisionally ban Joseph S. Blatter from all football activities on a national and international level, Issa Hayatou assumed the Office of FIFA President on an interim basis, as the longest-serving vice-president on FIFA's Executive Committee - according to article 32 (6) of the FIFA Statutes.